The primary environmental impact following an oil spill typically is acute toxicity to fish and wildlife. However, multigenerational effects through toxicant-induced heritable mutations might also occur. Some polycyclic aromatic hydrocarbon (PAH) components of crude oil are potentially mutagenic, although specific components and doses that induce mutations are poorly known. We applied population genetics concepts to assess the extent of mortality and the persistence of deleterious heritable mutations resulting from exposure to potential mutagens, such as crude oil. If lethal mutations are induced, the population will experience some mortality, but the mutations are quickly removed or reduced to low frequency by natural selection. This occurs within one or a few generations when mutations are dominant or partially recessive. Totally recessive alleles persist in low frequency for many generations, but result in relatively little impact on the population, depending on the number of mutated loci. We also applied population genetics concepts to assess the potential for heritable mutations induced by the Exxon Valdez oil spill in Prince William Sound, Alaska, to affect pink salmon populations. We stress that breeding units (e.g., streams with distinct spawning populations of salmon) must be considered individually to assess heritable genetic effects. For several streams impacted by the oil spill, there is inconsistency between observed egg mortality and that expected if lethal heritable mutations had been induced by exposure to crude oil. Observed mortality was either higher or lower than expected depending on the spawning population, year, and cohort considered. 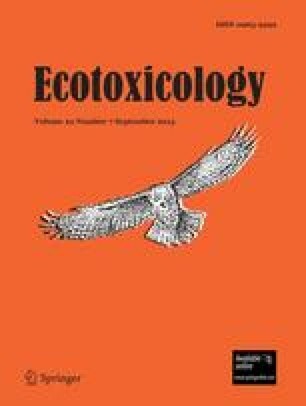 Any potential subtle effect of lethal mutations induced by the Exxon Valdez oil spill is overridden by natural environmental variation among spawning areas. We discuss the need to focus on population-level effects in toxicological assessments because fish and wildlife management focuses on populations, not individuals.